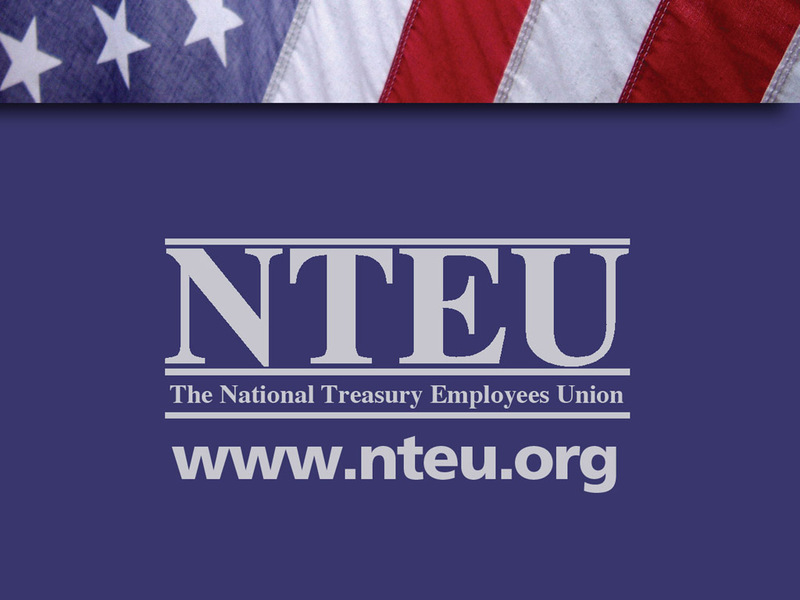 Please see the acceptance letter from the National Treasury Employees Union for the National Benefits Programs supplemental employee benefits programs. Click on the image to see the full size version. Here is a transcript of the approval letter from the National Treasury Employees Union. We recently discussed you extending the corporate discount given to major fleet clients, to members of our local chapter. The program you describe includes the ability to purchase or lease all makes or models of both new and quality pre-owned cars and trucks, at prices only major companies purchasing fleets enjoy. You also indicated that extra efforts will be extended in repair and re-establishing credit histories, if needed. We understand this program will be offered to our members and their immediate family only. As we discussed, our members are furnished with a union card, which will identify them as a member in good standing. 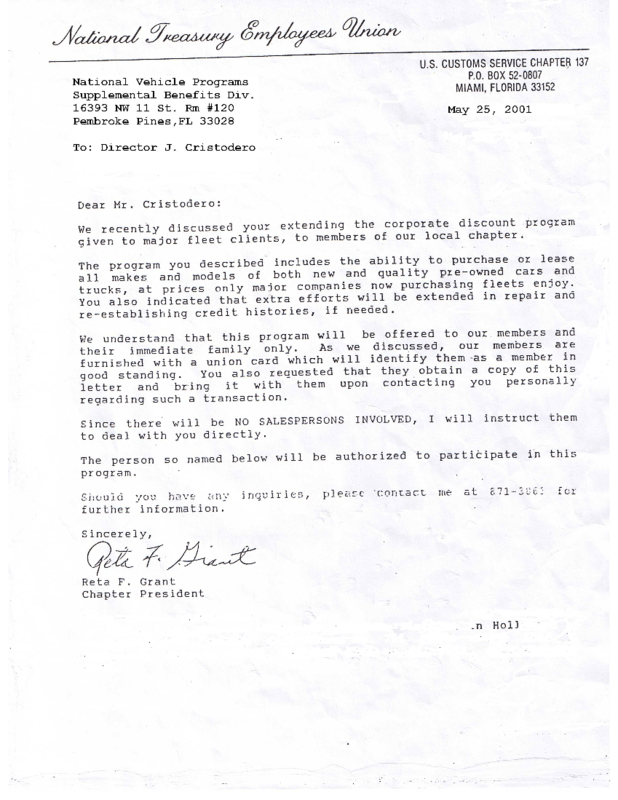 You also requested that they obtain a copy of this letter and bring it with them upon contacting you personally regarding such a transaction. Since there will be NO SALESPERSONS INVOLVED, I will instruct them to deal with you directly. The person so named below will be authorized to participate in this program. Should you have any inquiries, please contact me at … for further information.